Hyatt Hotels CEO Mark Hoplamazian said last week that the company was banning hate groups. Hoplamazian made his remarks during the Skift Global Forum in New York City. The announcement comes after Hyatt was criticized over the summer for agreeing to host a group opposed to Muslims at one of its properties outside of Washington, D.C.
Fortune ranked Hyatt, which runs nearly 800 properties in 54 countries, number 186 on its list of America's Best Employers for 2018. 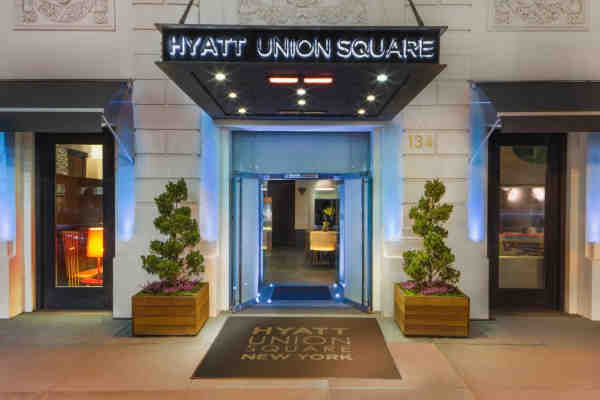 Hyatt received a 100 percent rating on the Human Rights Campaign's (HRC) Corporate Equality Index 2018, a measure of a company's commitment to LGBT equality.